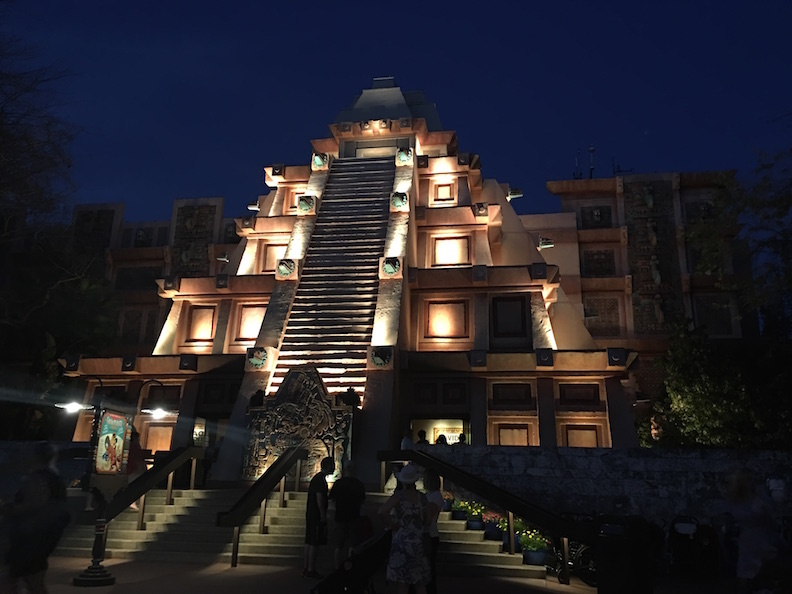 I can’t tell if I was overwhelmed later in the day from all the fun I had the night before at Trader Sam’s, or was depressed to have to leave the Polynesian, or if meeting Kylo Ren was that overwhelming but I wasn’t feeling magical on day 4. 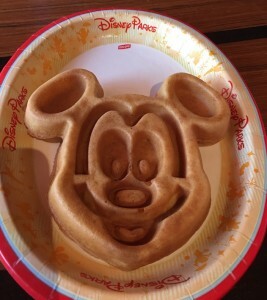 The day started out great – I got breakfast from Captain Cooks and brought it back to the room. 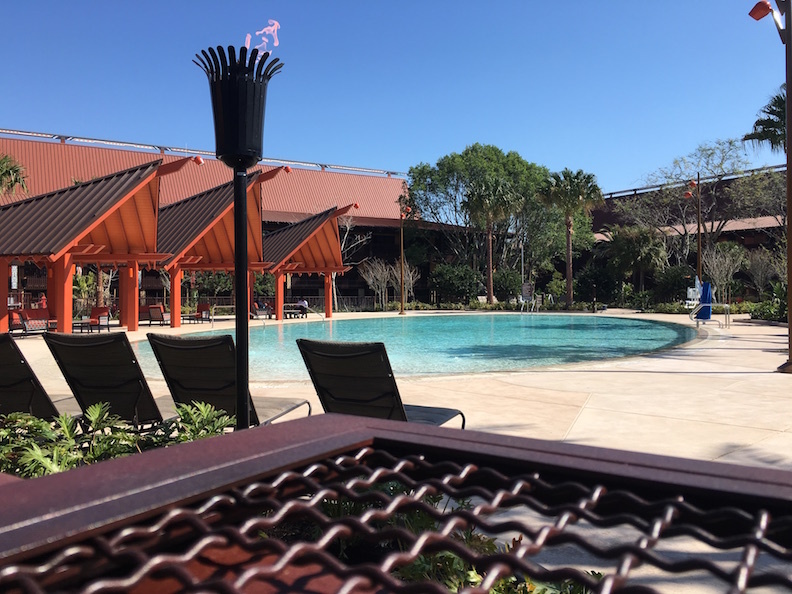 We stayed at the Poly till check out time at 11am and walked around the resort. The new pool looks so relaxing! I hope there is a chance for me to experience it in a few years. We left our bags to be delivered to Beach Club and took the bus to Hollywood Studios AGAIN. We had to see the Jedi Training again and we also checked out Watto’s Grotto and Launch Bay. I got the BB-8 soda cup I had been eyeing since we got to the parks and within an hour almost lost it to a Jawa! 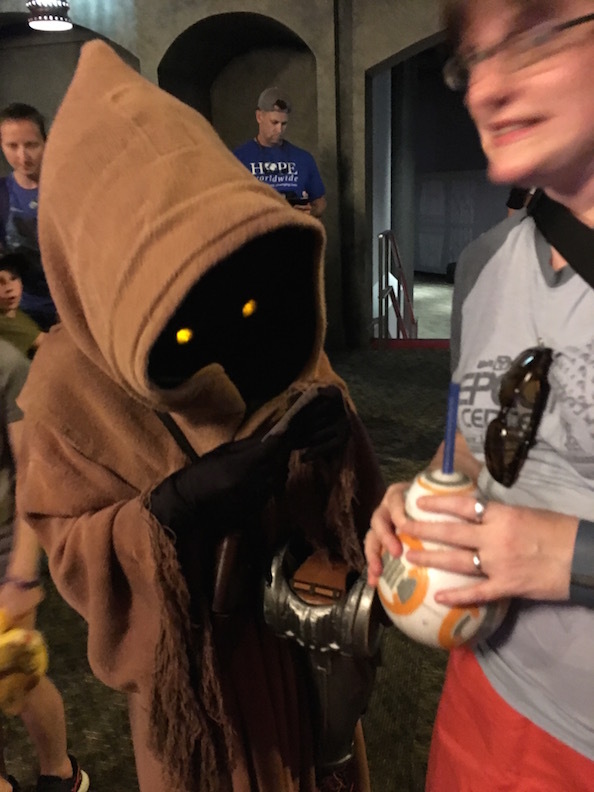 After the Jawa encounter I was already excitable but then we did the Disney Visa Character Meet and Greet. I didn’t ask who we would be meeting and they have it all hidden around corners. When I walked in and Kylo Ren was there I almost crapped my pants. I had so much fun I can’t wait for the park ‘s full concept to be put together. 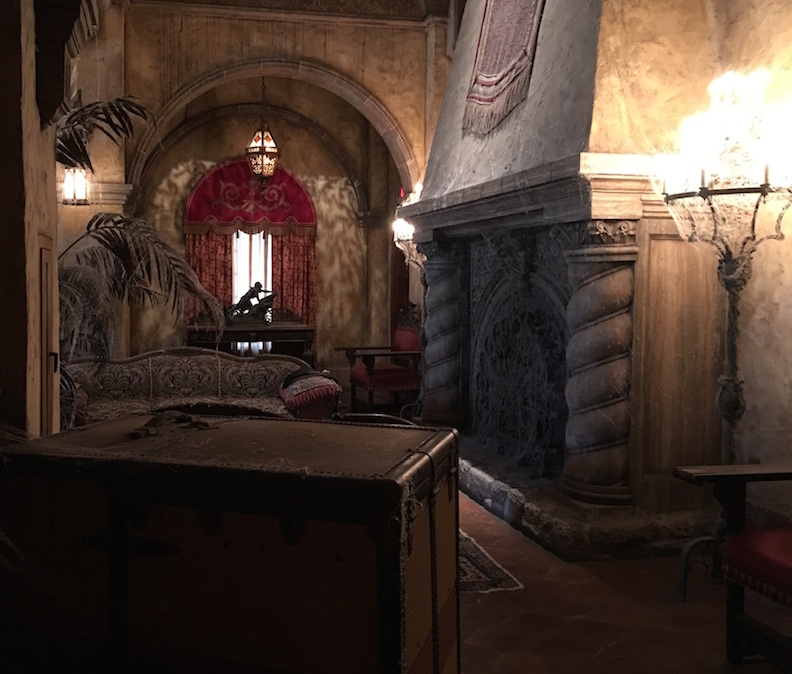 We finally got to ride Tower of Terror and for the first time in forever (no, not Frozen) I was able to take the queue to the left side of the bell stand and could see parts of the lobby I haven’t been able to check out for years. It was starting to get hungry and a bit tired so we took the boat to Beach Club to find out what was up with our room. For some reason the online check in didn’t work and we got a text that we needed to see the front desk. They fidgeted with our magic bands for about 15 minutes then gave us the room number. Before going to the room we had lunch at Beaches and Cream which was the definite highlight by far of our stay at Beach Club. We got to our room and it was so run down looking it was depressing. ESPECIALLY after a stay in the brand new Poly Villas. It was actually uncomfortable. 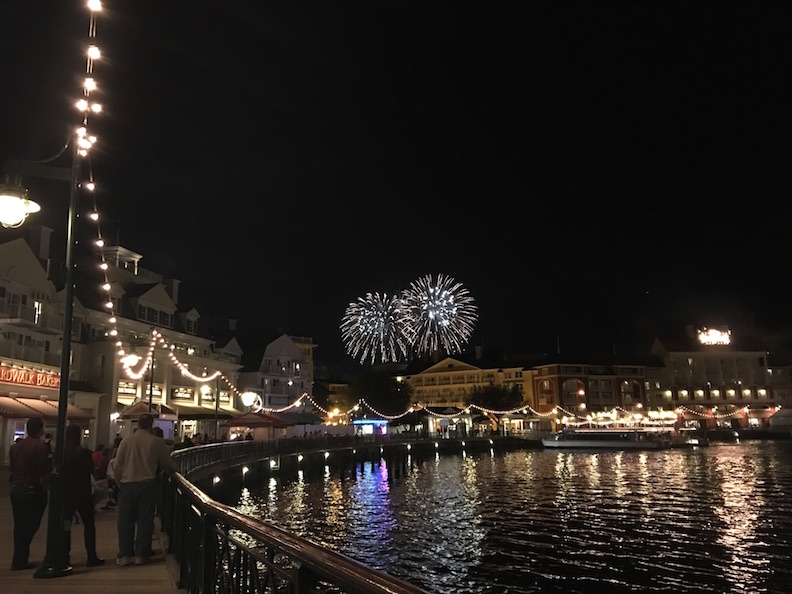 We walked around World Showcase and had a light dinner at the Boardwalk because I wasn’t feeling it. And check it! You can see the Star Wars fireworks from the Boardwalk! Although you need to really be there to experience its full effect. Its always hard to say goodnight to your last night in the Park. But the excitement about the Egg Hunt I had for the next day kept my spirits up!